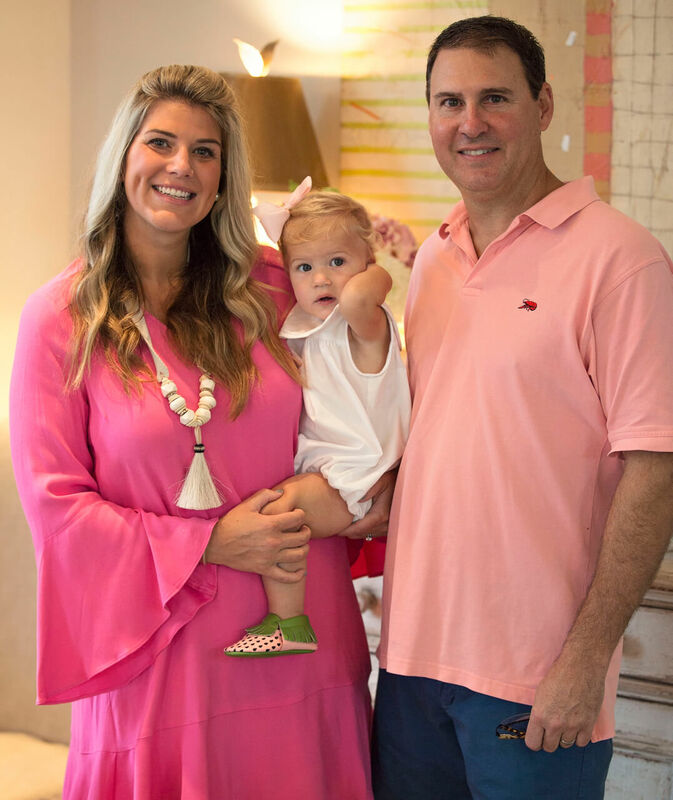 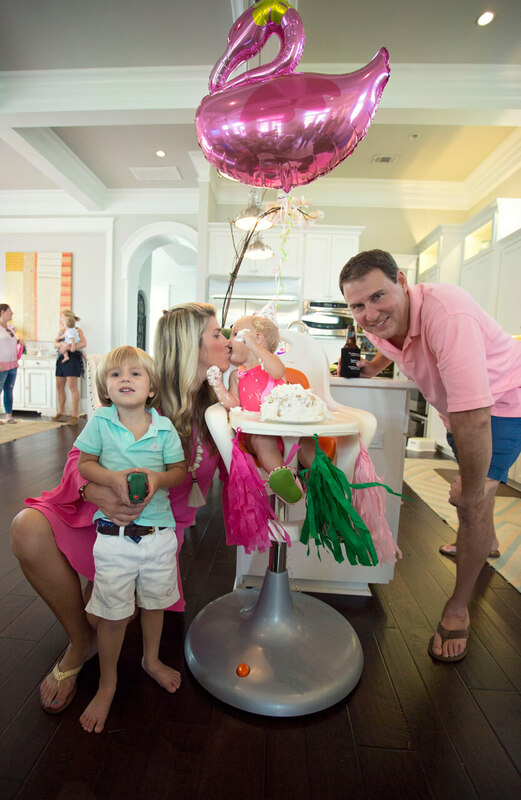 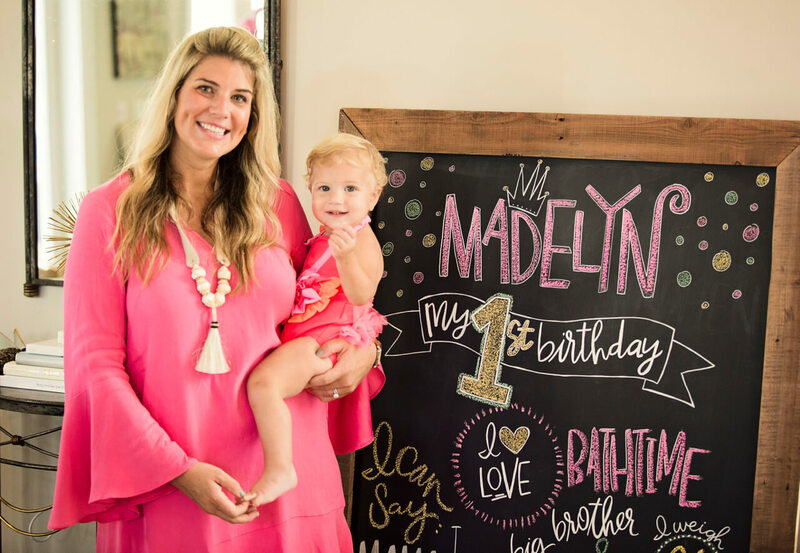 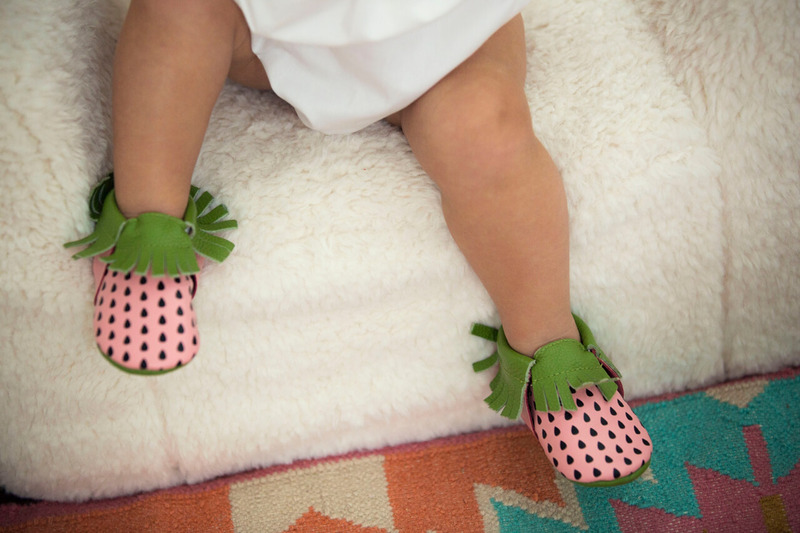 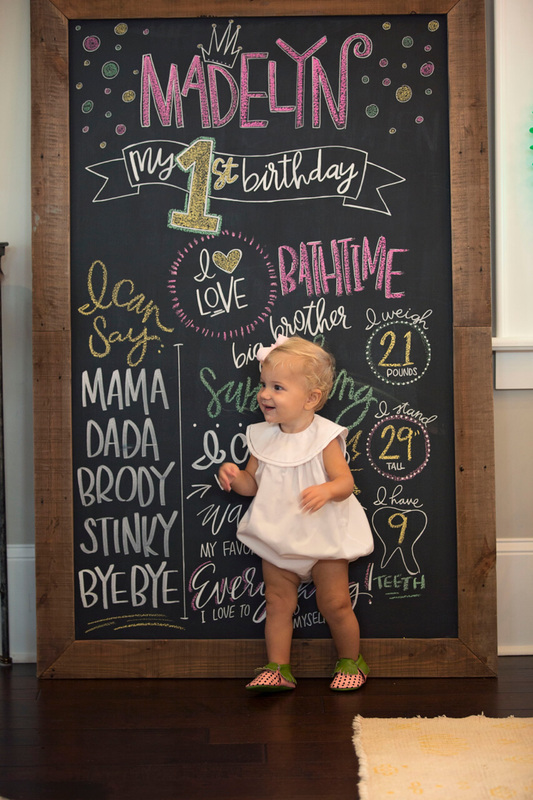 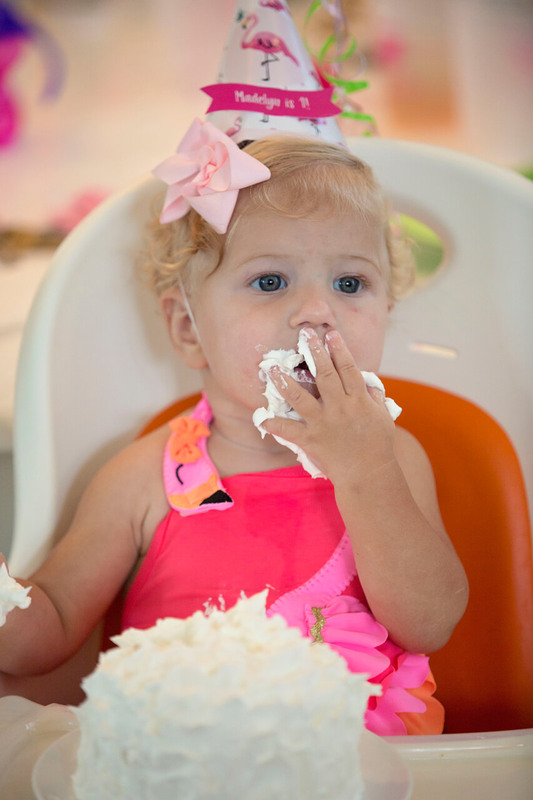 Madelyn’s flamingo and watermelon birthday party was the perfect way to celebrate her first year! 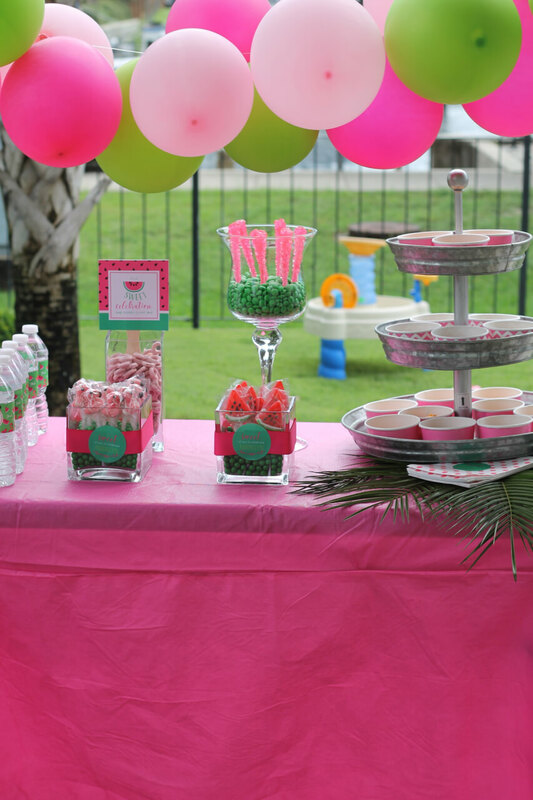 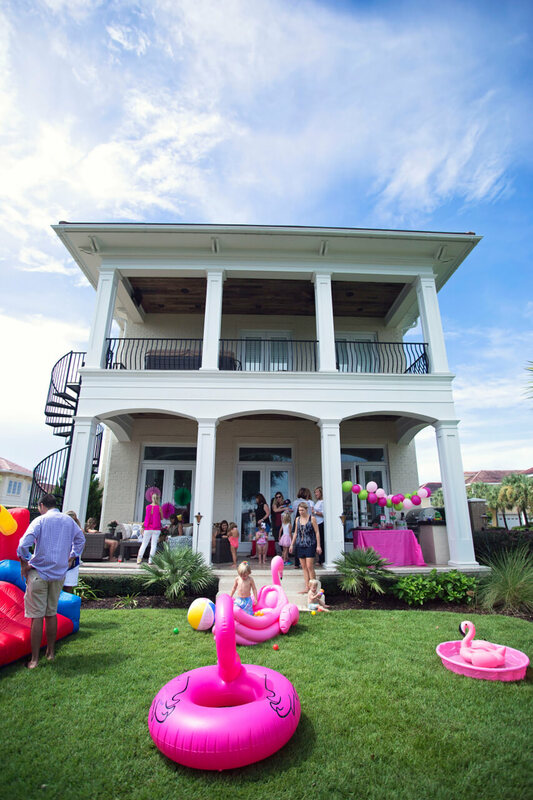 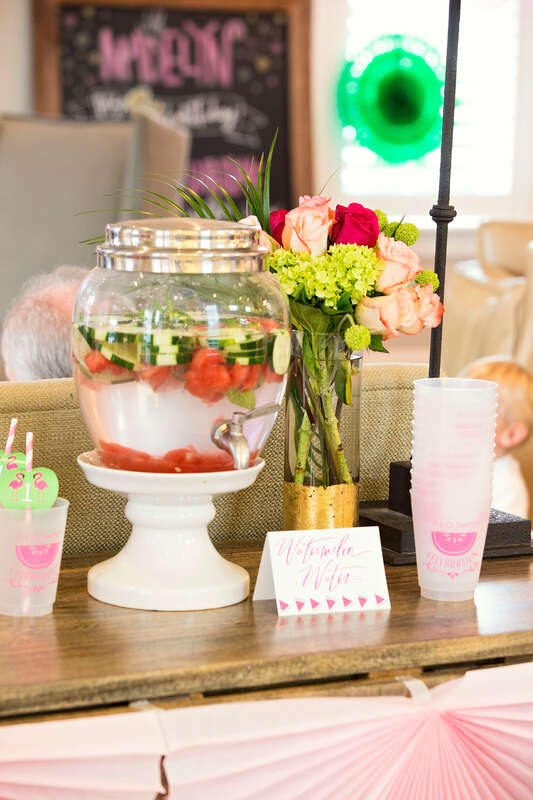 Her pink and green birthday extravaganza featured our favorite preppy colorway paired with fun, summery accents to create the ultimate end of summer bash. 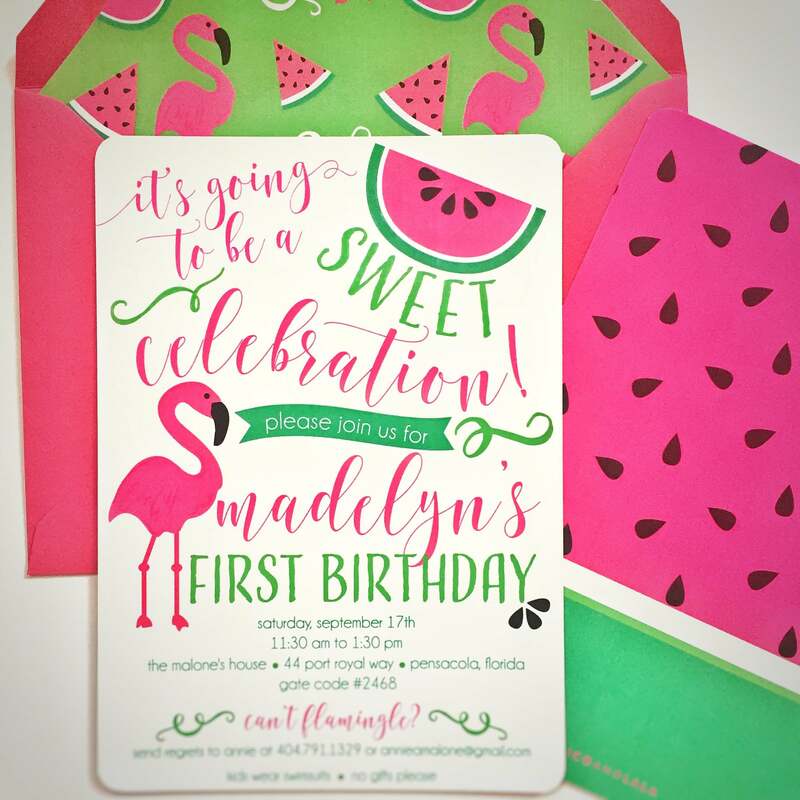 Madelyn’s mom took inspiration from our fun flamingo and watermelon birthday invitation when planning all the party decor. 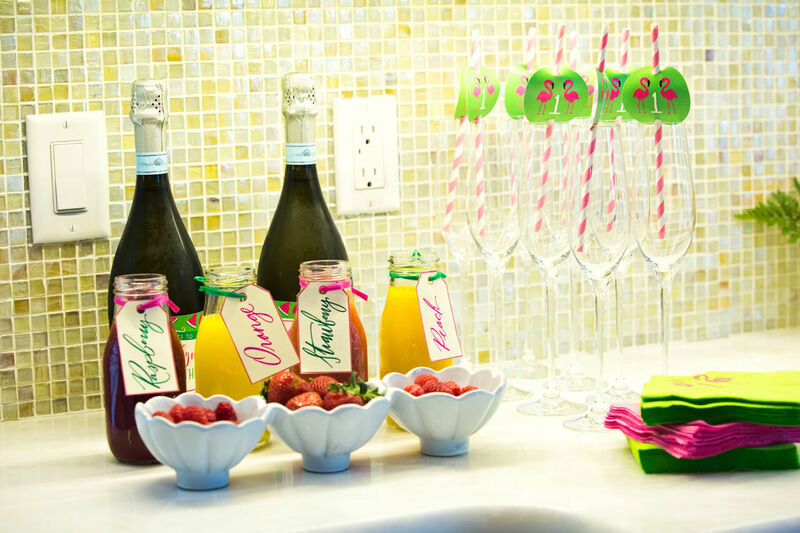 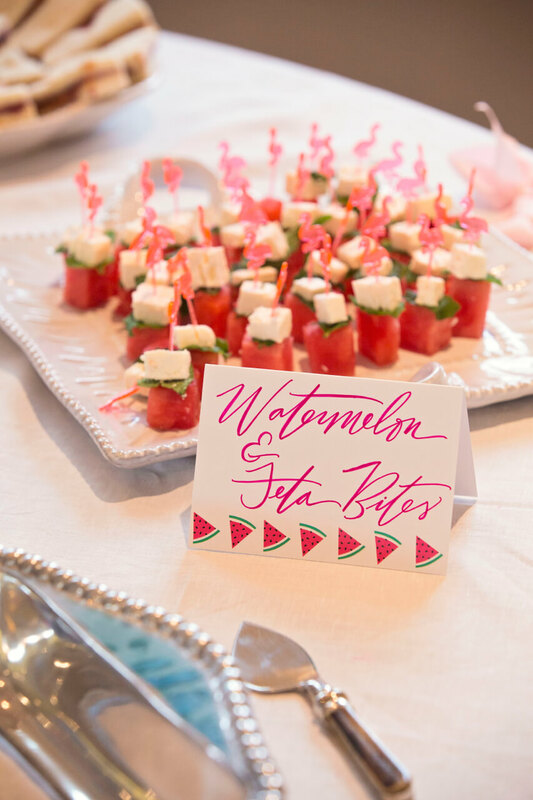 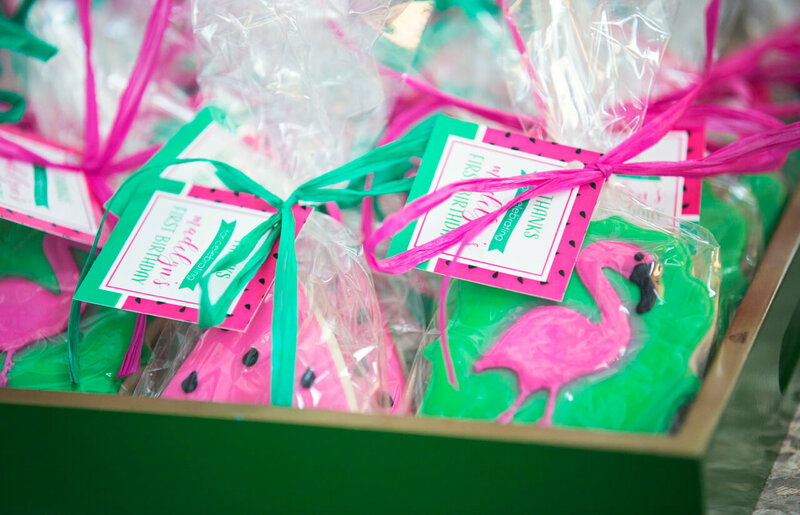 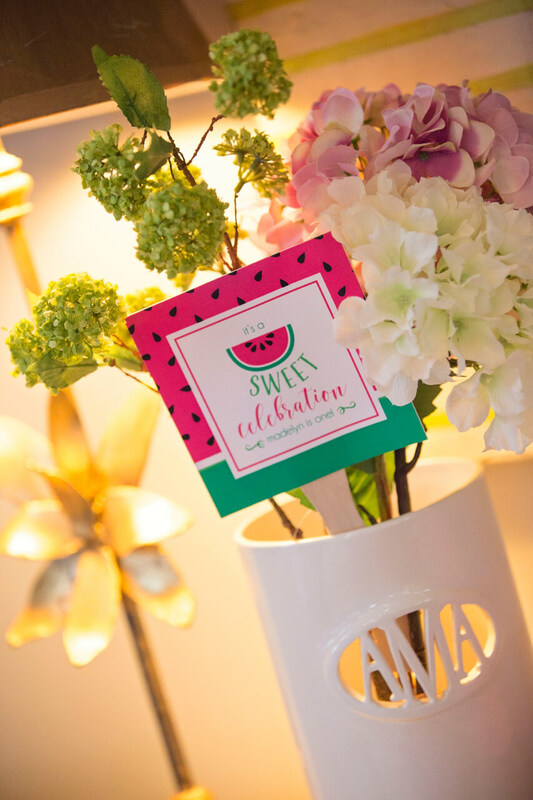 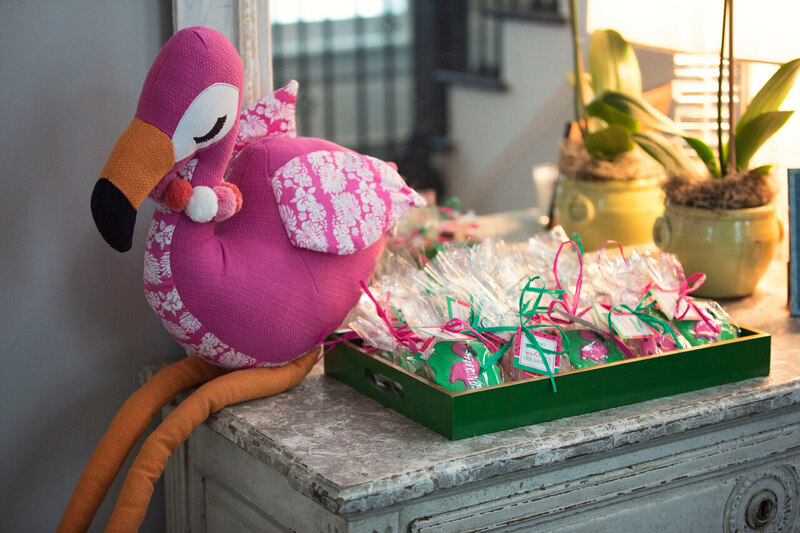 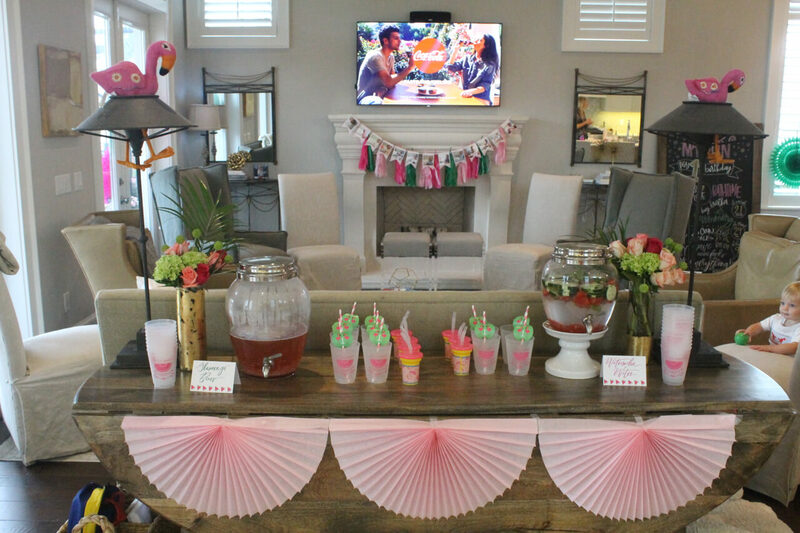 From the party snacks and flamingo birthday cake to the watermelon party cups and cookie party favors…all aspects of this preppy party took inspiration from either flamingos or watermelons. 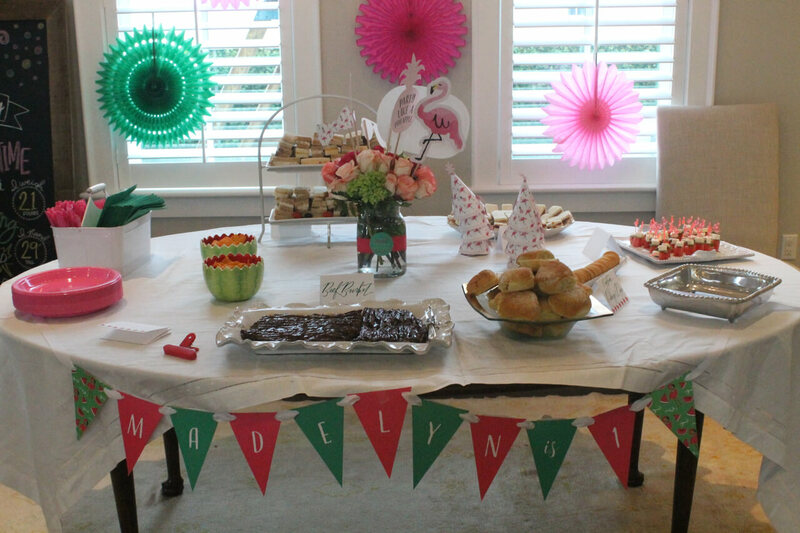 Madelyn’s party shoes even matched her party theme! 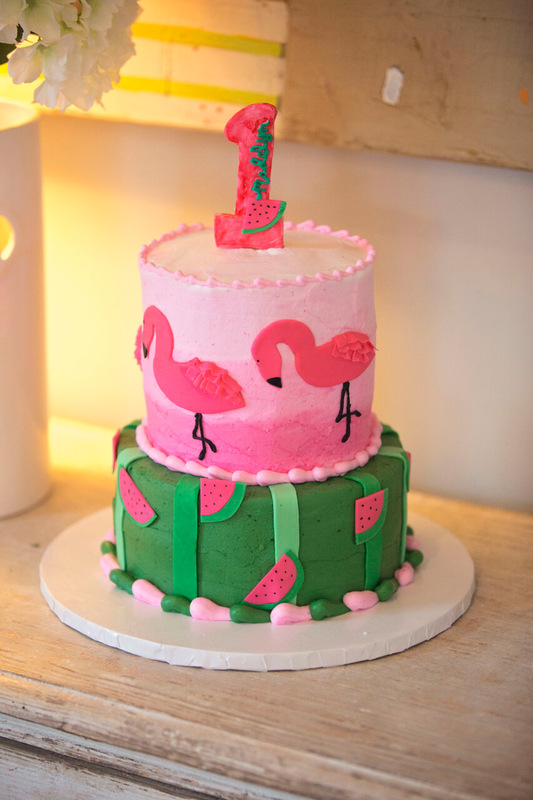 We absolutely love how this preppy flamingo watermelon birthday turned out!